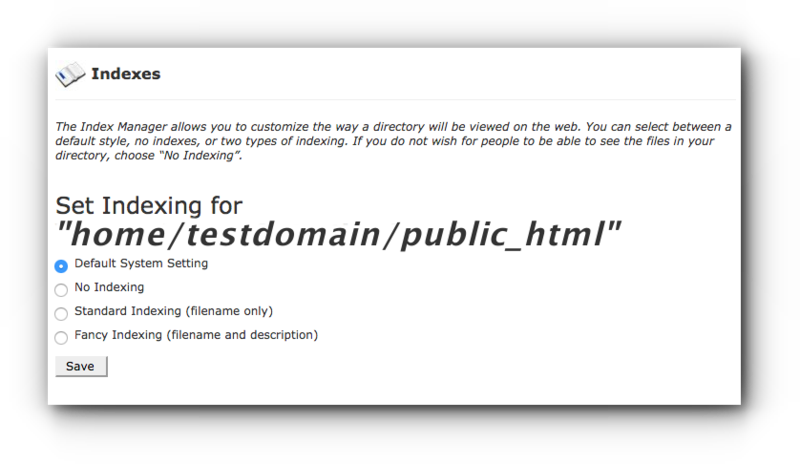 Home/Knowledge Base/Web Hosting/What is Indexes? Home/Knowledge Base/Useful Tips/What is Indexes? Indexes allow visitors to view the index page of the directory. 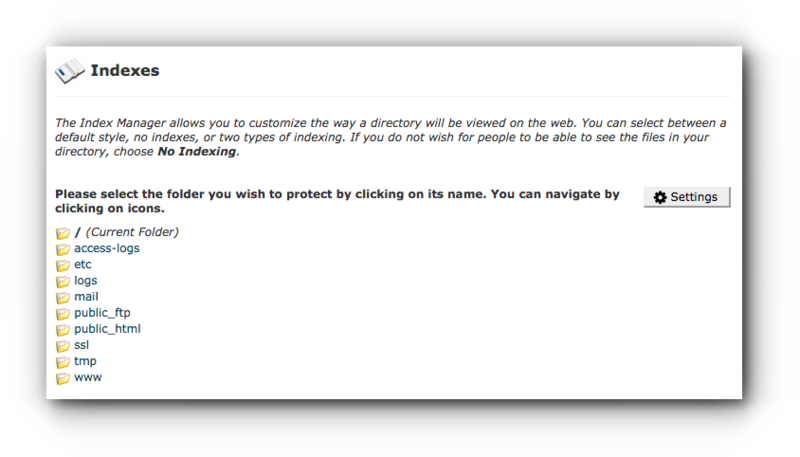 However, if no index directory is added, this will display the files and folders of the directory. Learn how to manage indexes by following the instructions below. Step 2. Click on Indexes under Advanced panel. Click the folder icon if you wish to check all other directories underneath it. Click the Up One Level folders icon if you want to go one level up from the current folder. Click the directory’s name to choose on that the directory. 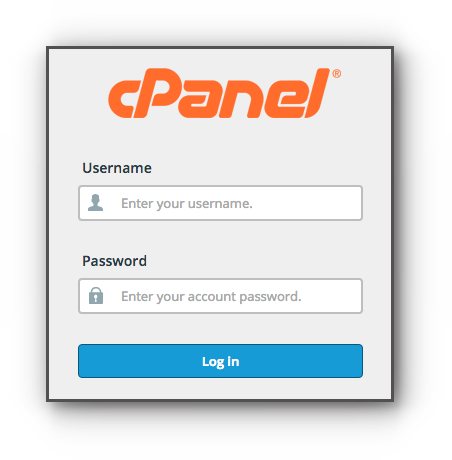 Default System Setting — cPanel uses the default settings configured by the server. No Indexing — Server does not display the directory list and instead shows that a forbidden page. Standard Indexing — Server displays the list of the directory’s contents as filenames only. Fancy Indexing — Server displays the list of the directory’s contents with its file names and additional information, such as file size and time last modified.